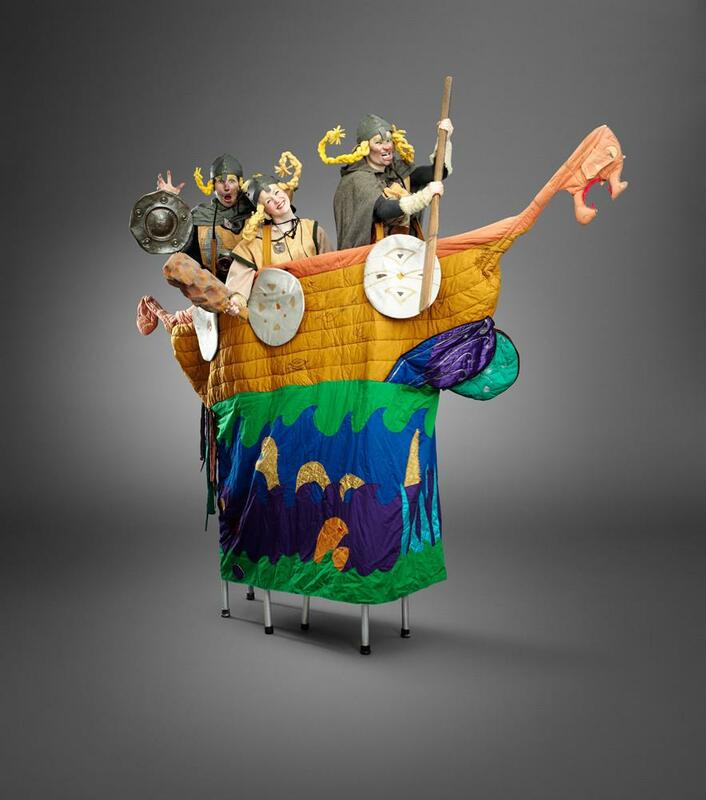 Helga, Olga and Vulgar are three Viking warriors in a dragon-head longboat. 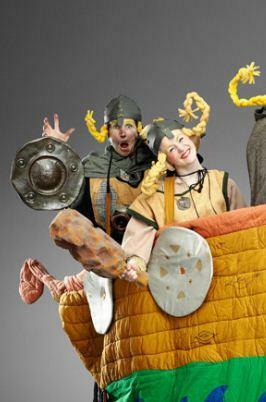 Armed to the blackened teeth with brazen breast-plates and pert blonde plaits, they have charted history’s waters and come to invade Anglo-Saxon England. 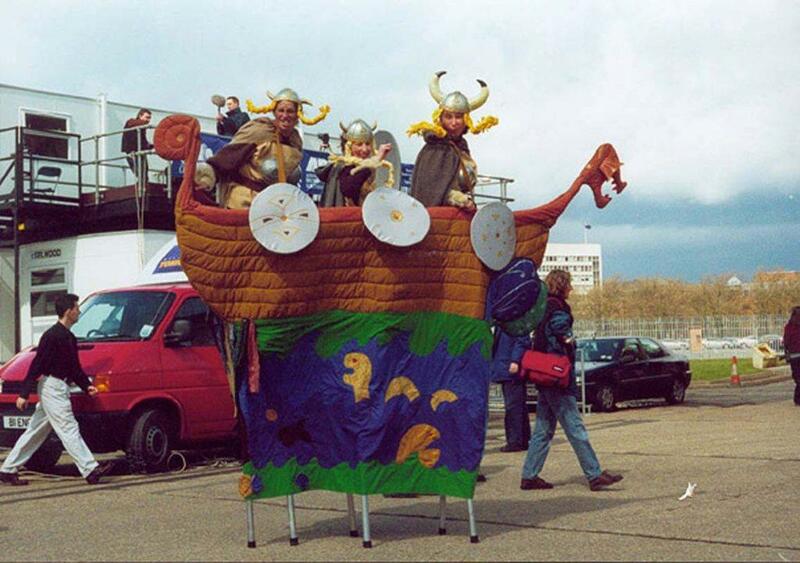 They will pillage your village, rattle your cattle, smoke your hamlet and take tribute money from King Ethelred. He’s unready… are you?! Circo Vikings are easy to work with. We are courteous and flexible and have performed world wide at venues ranging from pop stars’ parties to small shopping centres, large international arts festivals to Buckingham Palace! We are enthusiastic and energetic and aim to present the highest standard of innovative, inclusive and exciting street theatre. Walkabout acts: 3 x 30 minutes or 2 x 45 minutes or 90 minutes meet and greet. “I just wanted to write and say how wonderful Circo were at Buckingham Palace. You were definitely the stars of the pre-concert entertainment and featured in so many photos that you will be an integral part of many people’s memories. Thanks so much for being so fantastic”. “What can I say – brilliant as always! My husband followed you all the way down the main street he was so entranced”!